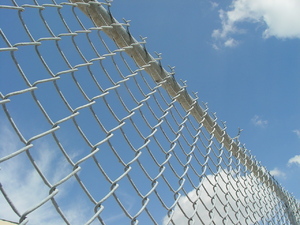 Officials with the Occupational Safety and Health Administration (OSHA) recently cited a Massachusetts fencing company more than $82,000 in fines for 14 serious and repeat violations for putting workers’ safety and health in jeopardy. The Richmond Hill-based company was fined for dangerous work conditions observed at its Marlborough, Massachusetts location. Officials with OSHA’s Andover Area Office kicked of an inspection into the location following a July complaint. “These conditions exposed workers to struck-by and crushing injuries, electric shock, laceration hazards, being caught in operating machinery, hearing loss and exposure to hazardous chemicals,” said Jeffrey A. Erskine with OSHA. Our Marlborough workers’ compensation lawyers understand that this wasn’t the only problem that OSHA officials have had with the company. Earlier in the year, the company’s Wingdale, N.Y. plant was cited with some of the same violations. These violations included lack of blade guards and anti-kickback devices, table saws lacking blade guards and a violation for a table saw that lacked proper electrical grounding. With these New York violations, the company was cited more than $35,000 in fines. And many of these were repeat violations, meaning that the company was already cited for the problems at least once in the last five years. In the Massachusetts inspection, officials also found unsafe storage of various fencing materials, employees with a lack of information and education regarding respirators, neglect to store hearing protection plugs in a sanitary and reliable manner and noise levels that were too high for employees. Laws are in place to protect you from employers who put profit before the health and safety of workers. With the Occupational Safety and Health Act of 1970, Congress created the OSHA to ensure safe and healthful working conditions for working all U.S. workers. Under the Occupational Safety and Health Act of 1970, employers are required “to assure safe and healthful working conditions for working men and women.” Employers are required to do this by making sure workers have the proper education and training to complete their jobs safely and to make sure that all work conditions are free from known hazards. Employees also have the right to ask for information on injuries and illnesses in their workplace and information on hazardous substances in the workplace such as material safety data sheets and exposure records. Workers may file a complaint to have OSHA inspect their workplace if they believe that their employer is not following OSHA standards or that there are serious hazards. You have these rights and it’s your responsibility to make sure they’re met. If you or someone you love feel that they are not being treated fairly on the job or that their safety is being jeopardized, it’s critical for a worker to speak up. Changes cannot be made if awareness is not made.